What is Ipsos About? Is Ipsos a Scam? What is Ipsos About? Is it legit or a scam? Can you make money from taking surveys with Ipsos? Read my review on Ipsos and find out more about this product. Just like Vivatic, Pinecone Research, any many others, Ipsos is an independent market research company founded outside of the US. It is founded in Paris, France in 1975 and it is currently ranked the third in the global research industry. Ipsos has been publicly traded on the Paris Stock Exchange since 1 July 1999. Hence, I can assure you that it is a legitimate company. Don’t be surprised if you find Ipsos i-Say on the internet as it is basically a survey site operated by a division of Ipsos. They have made their presence in many countries. If you want to know if they are available in your country, you could refer to the list below. Algeria ,Albania ,Argentina ,Australia ,Bahrain ,Belgium ,Bosnia Herzegovina ,Bolivia ,Brazil ,Bulgaria ,Canada ,Chile ,China ,Colombia ,Costa Rica ,Croatia ,Cyprus ,Czech Republic ,Denmark ,Dominican Republic ,Egypt ,El Salvador ,Ecuador ,France ,Germany ,Ghana ,Greece ,Guatemala ,Hong Kong ,Hungary ,India ,Indonesia ,Iraq ,Ireland ,Israel ,Italy ,Ivory Coast ,Japan ,Jordan ,Kazakhstan ,Kenya ,Kosovo ,Kuwait ,Lebanon ,Macedonia ,Malaysia ,Mexico ,Montenegro ,Morocco ,Mozambique ,Netherlands ,New Zealand ,Nigeria ,Norway ,Pakistan ,Panama ,Peru ,Philippines ,Poland ,Portugal ,Puerto Rico ,Qatar ,Romania ,Russia ,Saudi Arabia ,Serbia ,Singapore ,Slovakia ,Slovenia ,South Africa ,South Korea ,Spain ,Sweden ,Switzerland ,Taiwan ,Tanzania ,Thailand ,Tunisia ,Turkey ,UAE ,Uganda ,UK ,Ukraine ,USA ,Venezuela ,Vietnam, and, Zambia. Working with Ipsos is simple and straight-forward. All you do is to take surveys online and get rewarded in points. With the accumulated points, you can redeem them for gift cards and others. How to Make Money with Ipsos? Ipsos strictly focuses on surveys. All survey invites will be sent to your email inbox or you could check through the Ipsos dashboard. Just like any other survey sites, you will be asked to fill in some answer prior to taking any surveys to make sure that you are qualified for the surveys.Don’t worry, even if you are disqualified after going through the pre-qualification Q&A, you will be rewarded five points for your effort. Don’t worry, even if you are disqualified after going through the pre-qualification Q&A, you will be rewarded five points for your effort and the time spent. In average, you can earn up to 100 points per survey when you are qualified. Occasionally, you can earn some points by taking “Polls” surveys. It is simply a shorter version, of which you are only required to answer “yes” or “no” on these polls. What is fun about Ipsos is the Poll Predictor where you are entitled to win some prizes where you need to guess what percentage of respondents answer “Yes” to different questions. Ipsos also rewards their members through a loyalty program. You will be rewarded extra points based on the number of surveys you complete. For example, you get 25 points when you complete 5 surveys and 50 points when you finish 10 surveys. Visa Prepaid Card (i-Say Choice). Of course, the redemption time varies from one to another. It is almost instant to redeem all gift cards and it takes around one to three weeks to have money credited to your PayPal account and three to four weeks to have it credited to your Visa Prepaid Card. You can also redeem 250 points to participate into sweepstakes. The prizes can be an eGift card or a travel package. The minimum threshold to cash out your points is 1,380 points. (+) They have a clean dashboard that is easy to navigate around. Unlike other paid survey sites, Ipsos only focuses on online surveys. There aren’t many offers, trials and drop down boxes that can be sometimes confusing. (+) You will be notified how many points you are going to make and the duration that you need to spend for the survey beforehand. (+) Ipsos survey is a legitimate company. There is no doubt about that.It has been in operation in the research market business for more than 30 years. (+) It is totally free to join as a member of Ipsos. (-) Unlike Zoombucks and Swagbucks, the only way to make money from Ipsos is through taking surveys. You don’t have a lot of choices to make money with Ipsos. (-) To my surprise, it takes relatively long to cash out points through PayPal. (-) Making money through Point system is not my favorite. You will never know how the conversion is done. As you go for a higher tier, you will only be required to redeem 9,600 points for $100 in PayPal. (-) It is extremely hard to qualify for their surveys. It is unlikely to get 3 surveys per week. In average, I only get qualified for 1 or maximum 2 surveys per week. The pay is too little and too slow in general. (-) You can take survey via their mobile app. However, you need to be invited to install this on your mobile. I personally have no idea why one needs a special invitation just to get it installed. (-) Poor referral program where you need to know the email address of the person you want to invite. Making money via Ipsos can be boring. However, earning rewards is a slow process unless you are looking for some part time income that earns you some gift cards and pocket money. To earn up to thousand points, you will be required to spend most of your time on the screen and do a lot of clicking. The worst thing is, you don’t get to choose the surveys that you want to do. Ipsos is a reputable company, but it doesn’t mean it is the best-paid survey site to make money. My advice is, Don’t expect big income working with Ipsos, it will not make you rich. There is a reason why I always recommend people to join more than one survey panel. It does not make sense if you only rely on just one company when you only receive two survey invites per week. 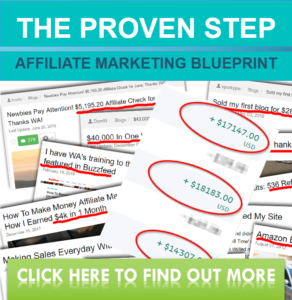 If you serious about making extra money with paid survey sites, you can opt for Pinecone Research, Vivatic, and PaidViewpoint if you have the options. If you are interested to know the alternative to making money online, you can sign up for my email course. I will show you how I do it and you can follow my footsteps. I can work alongside with you with step-by-step guides. For those who have tried Ipsos, share your experience with us. Click Intensity Review – Is it a Scam? Next story What do I Need to Know to Start an Online Business?